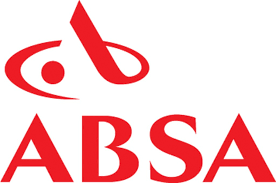 Leading retail banking giant in South Africa, the Amalgamated Bank of South Africa (ABSA), has made up its mind to build its presence in Nigeria slowly and organically than acquiring any bank. Chief Executive Officer of the bank, Maria Ramos, who spoke to media executives during the recently concluded World Economic Forum in Davos, Switzerland, was quick to reveal that the bank has no plan of becoming amongst top financial institutions in Nigeria in the near future. Before now, the bank which is the South Africa’s third biggest lender, had not previously been so explicit on its intentions in Nigeria. Though it recently dropped the hint of fighting for Africa’s banking market, it still see Nigeria as key to its plan to double its share of banking revenues on the continent to 12 percent – one of a series of ambitious targets Absa has set as it tries to carve out a name for itself after separating from Britain’s Barclays in 2017.